Roll the die, draw a card, and get ready to quickly call out both naughty and nice substitutes for hundreds of Satan’s favorite words. Will YOU be the first to win the game by safely passing through the Gates of Hell? Perfect for every gathering of twisted and immature adults. Red cards will generate more “sinful” and offensive SINONYMS than black cards. Consider yourself warned! 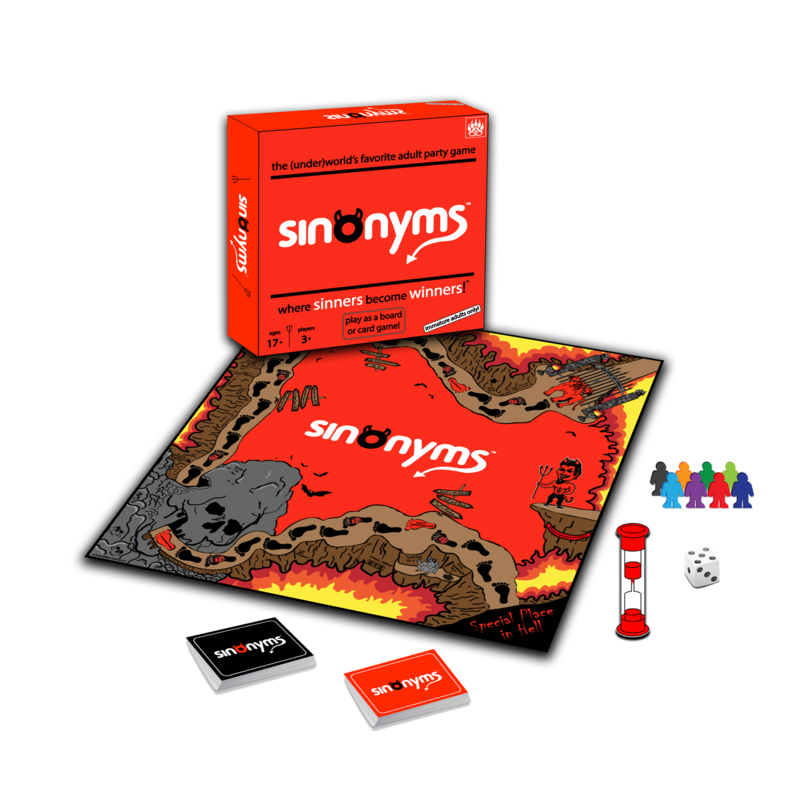 Not enough time or space to play SINONYMS as a board game? No problem! You can also play SINONYMS as a card game. 30–60 minutes average play time makes it easy to squeeze in a game (or three).